BIBLE HISTORY DAILY: The Masada Siege. The Roman assault on Herod’s desert fortress (Robin Ngo). This was originally posted in 2014, but I seem to have missed it then. To access the BAR article that it introduces, you need a paid personal or institutional subscription. For past posts on the siege of Masada, the archaeology of the site, and related matters, see here and links (cf. here and here). Read the press release for further details about them and about the whole project. REVIEWS OF BIBLICAL AND EARLY CHRISTIAN STUDIES: Matthew’s New David at the End of Exile. NEW BOOK FROM WIPF AND STOCK: Fakes, Forgeries, and Fictions. Writing Ancient and Modern Christian Apocrypha: Proceedings from the 2015 York Christian Apocrypha Symposium. EDITED BY Tony Burke. FOREWORD BY Andrew Gregory. Fakes, Forgeries, and Fictions examines the possible motivations behind the production of apocryphal Christian texts. Did the authors of Christian apocrypha intend to deceive others about the true origins of their writings? Did they do so in a way that is distinctly different from New Testament scriptural writings? What would phrases like "intended to deceive" or "true origins" even mean in various historical and cultural contexts? The papers in this volume, presented in September 2015 at York University in Toronto, discuss texts from as early as second-century papyrus fragments to modern apocrypha such as tales of Jesus in India in the nineteenth-century Life of Saint Issa. The highlights of the collection include a keynote address by Bart Ehrman ("Apocryphal Forgeries: The Logic of Literary Deceit") and a panel discussion on the Gospel of Jesus' Wife, reflecting on what reactions to this particular text--primarily on biblioblogs--can tell us about the creation, transmission, and reception of apocryphal Christian literature. The eye-opening papers presented at the panel caution and enlighten readers about the ethics of studying unprovenanced texts, the challenges facing female scholars both in the academy and online, and the shifting dynamics between online and traditional print scholarship. Past posts on the 2015 symposium and the book (when it was forthcoming) are here, here, here, and here. Ezekiel studies are flourishing. The 27 essays collected in this volume were first presented at two symposia on the theme “Ezekiel in International Perspective” at the Society of Biblical Literature conferences in St Andrews and Vienna. The principal aim was to widen contact, cultivate understanding, and foster collaboration between international colleagues who, though working on the same ancient text, possess diverse points of view and operate from different methodological frames. The meetings allowed moments of introspection, providing the freedom and opportunity to reflect on questions of appropriate evidence, suitable methodology, and argumentative plausibility by juxtaposing papers from diverse perspectives. The resulting collection is a portrait of the discipline in the present and a prospectus for future research. Follow the link for the TOC. Lat year I noted the book as forthcoming here. Dr. Tooman is one of my Hebrew Bible colleagues at the Divinity School of the University of St. Andrews and Dr. Barker received her PhD under his supervision. Congratulations to both on the new volume. Tony Burke and Brent Landau, New Testament Apocrypha: More Noncanonical Scriptures, volume 1 (Eerdmans, 2016). I discuss the gospels (etc.) in roughly the order of their dates of composition, but also with some attention to thematic similarities. A number of the gospels and gospel fragments are relatively old — from as early as the second or even the late first century. Potentially the earliest text is The Death of Judas according to Papias (pp. 309-313, ed. Geoffrey S. Smith). I suspect it was included more for the sake of completeness than for any sense that it is anything like an early “gospel.” Papias wrote in Greek and flourished in the late first and early second centuries. He was acquainted with oral traditions that went back to the first generation of Jesus' followers. His work survives only in quotations. Two rather different versions of this one are extant. Smith translates both. Whatever knowledge Papias may have had of the time of Jesus, this account is merely a crass tall tale. There are two very fragmentary texts among the Oxyrhynchus papyri. Papyrus Oxyrhynchus 210 (pp. 109-124, ed. 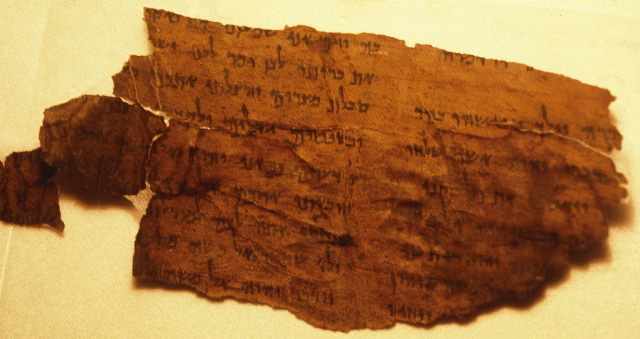 Brent Landau and Stanley E. Porter) is a single leaf from a third-century Greek codex. It is very badly damaged and little can be said confidently about it except that it involves an angel, Jesus, and God. Papyrus Oxyrhynchus 5072 (pp. 125-139, ed. Ross D. Ponder) is a Greek page dated to within fifty years on either side of 200. If the dating is correct, it may not be much, if any, later than Papyrus Egerton 2, the earliest surviving apocryphal gospel fragment. One side narrates an exorcism which has affinities with exorcism accounts in the Synoptic Gospels. The other side deals with discipleship and Jesus is perhaps the speaker. The name Jesus does not actually survive in the extant text of P. Oxy. 5072. The editors prudently provide double translations of both papyri. The first translation includes only the words that can be read or confidently reconstructed on the papyrus. The second attempts to fill out the scant surviving text with reasonably cautious but conjectural reconstructions of the missing text. The Revelation of the Magi (pp. 19-38, ed. Brent Landau) survives complete only in a Syriac translation embedded in the eighth-century Chronicle of Zuqnin (Zūqnīn). Landau regards Syriac to be its original language and he dates its composition to the late second or early third century. A much shorter version of the story survives in a fifth-century Latin text. It was translated as “The Apocryphon of Seth” by Alexander Toepel in MOTP1, 33-39. The Revelation of the Magi is arguably the earliest surviving apocryphon that deals with the magi of Matthew’s infancy narrative and it is in any case the longest and most detailed ancient work about them. It appears to place their home in China. Jesus is the star of Bethlehem and he can appear in a multiplicity of other forms. The text is also remarkably tolerant toward other religions. Due to copyright concerns, this volume publishes only a summary of the text, but it still takes up most of nine pages. The Infancy Gospel of Thomas (pp. 52-68, ed. Tony Burke) was probably composed in Greek in the second century, but the best text is a Syriac translation. Burke has recently published a new edition of the Greek and he is working on one of the Syriac. He translates the Syriac here. Scholars assumed that this gospel was the Gnostic Gospel of Thomas mentioned by patristic writers, which caused some confusion. The discovery of the Coptic version of the Gnostic (?) Gospel of Thomas in the Nag Hammadi Library set matters right. The Infancy Gospel tells entertaining and sometimes disturbing stories about the miraculous deeds of Jesus as a child. The earliest version shows the characters of those around Jesus developing as they realize he must be a god or angel. But the bloodthirsty child Jesus does not change. Later versions try to tone down the bloodthirsty aspects and portray Jesus with some character development. Some of the gospels in this volume were composed roughly in late antiquity (that is, the third to the sixth centuries). The Legend of Aphroditianus (pp. 3-18, ed. Katharina Heyden) was probably composed in Greek in the third century at Hierapolis in Syria. It survives only embedded in later works or in versions excerpted from those works. It seems to be a Christian appropriation of the ancient Syrian Atargatis cult and it also has parallels with the third-century apocryphal correspondence between King Abgar and Jesus. It consists of Hellenic oracles and a retelling of the infancy story of Christ which shows considerable interest in the magi. The Toledot Yeshu (pp. 158-164, ed. F. Stanley Jones) is a remarkable case of a Jewish parodic anti-gospel that was probably composed in Aramaic in Palestine in the third or fourth century. It survives in many translations and three main recensions, the Herod-group, the Helen-group, and the Pilate-group. Each is named after a character who is distinctive in that group. The translation is of an Aramaic fragment from the Herod-group. It arguably preserves material from the earliest surviving version of the story. This volume was published too late for the editor to make use of the recent edition of the Toledot Yeshu, edited by Meerson and Schäfer et al. Perhaps the MNTA series editors will want to consider returning to it in a future volume. The Berlin-Strasbourg Apocryphon (pp. 165-183, ed. Alin Suciu) came to the attention of the world in the late 1990s under the title The Gospel of the Savior. It survives in three fragmentary Coptic manuscripts. Suciu has re-named it and concluded that it is not a gospel. Rather it belongs to the genre of “pseudo-apostolic memoirs” composed in Coptic no earlier than the fifth century. The surviving material mostly involves a dialogue between Jesus and the apostles, although Jesus also ascends to the seventh heaven and later they all perform two hymnic dances of the cross. Some apocryphal gospel-related works retell the story of John the Baptist. One such work is The Life and Martyrdom of John the Baptist (pp. 247-67, ed. Andrew Bernhard). It was probably composed in Greek in the late fifth century, perhaps in Syria. It survives in multiple recensions. It purges all hints of conflict between Jesus and John or their disciples which appear in the four canonical gospels. Bernhard translates what he judges to be the earliest surviving text. This volume translates two other works about John. An Encomium on John the Baptist (pp. 217-246, Philip L. Tite) is a Coptic text whose Greek original could have been composed anywhere between the late fourth and the tenth centuries, with later in the range being more likely. The Life of John the Baptist by Serapion (pp. 268-292, ed. by Slavomír Čéplö) survives only in Arabic (Garshuni) manuscripts and was likely composed in Egypt in the fourteenth century, with parts perhaps translated from Coptic. An Encomium on Mary Magdalene (pp. 197-216, ed. Christine Luckritz Marquis) is another gospel-related work whose protagonist is someone other than Jesus. It is actually another example of the genre of the pseudo-apostolic memoir. It survives in Coptic fragments and seems to have been composed in the mid-fifth or early sixth century. Finally, some of the gospels in this volume were composed as late as the Middle Ages. On the Priesthood of Jesus (pp. 69-108, ed. William Adler) was composed in Greek, probably in the seventh or eighth century and perhaps by a Jewish-Christian author. It is notable for preserving a tradition that Jesus (through his mother) had both a Davidic and a Levitical ancestry, and thus was qualified to serve in the priesthood. Already in the second century CE, the Testaments of the Twelve Patriarchs placed Jesus in both roles, so the idea is very old. We should resist efforts to emend the Testaments when they give Jesus a dual Judahite-Levitical lineage. This apocryphal gospel is one piece of evidence that some Christians accepted it. This gospel had some cultural influence in the Eastern Church. It survives in three recensions. Alder regards the long recension to be the earliest. He translates four manuscripts of the work and an early summary of it to present the full range of textual variation. The long recension displays a benign attitude toward Judaism for the era, but later versions became more hostile. The Dialogue of the Paralytic with Christ (pp. 140-151, ed. Bradley N. Rice) is preserved in Armenian and Georgian versions in manuscripts from the thirteenth century on. Arguably, however, these were translated from an Arabic version written as early as the ninth century. This work is something of a “dark comedy” (p. 140) which features a dialogue between a faithful and pious paralytic with an infuriatingly doubting Jesus. Nevertheless, Jesus heals the paralytic in the end. Despite the provocative nature of this work, its transmission persisted in the Caucusus into the twentieth century. The Hospitality of Dysmas (pp. 39-51, ed. Mark Glen Bilby) is an addition to some manuscripts of the Acts of Pilate. It narrates the fanciful prehistory of the good thief who was crucified with Christ according to Luke 23. Dysmas renders aid to the holy family at the time of Jesus’ birth. This leads to the healing of his own leprous child and earns him the honor of his later martyrdom with Christ. The work shows considerable interest in Mary and her beauty. It was composed and transmitted in Greek. It is one of many versions of the story. Some of these downplay or eliminate the idea that the protagonist was a thief. It was probably composed in the twelfth or thirteenth century. The Legend of the Thirty Pieces of Silver (pp. 293-308, ed. Tony Burke and Slavomír Čéplö) recounts the fictional prehistory of the coins Judas used to betray Jesus. It survives in a Western version in Latin and an Eastern version in Syriac and Armenian. It can be traced back to the twelfth century. Its was composed sometime before that, but exactly when is unclear. This volume translates both the Eastern version and the Western version. In the next post I will survey the rest of the texts translated in the volume: the apocryphal acts and related traditions, the epistles, and the apocalypses. UPDATE (15 June): Philip Tite comments on parts 2 and 3 of this review here. He is the translator of the Encomium on John the Baptist (see above) and he clarifies his view about its original language. FOLLOWING HADRIAN PHOTOGRAPHY BLOG: Machaerus. Machaerus is a fortified hilltop palace overlooking the Dead Sea in Transjordan, southeast of the mouth of the Jordan river. The fortress was erected by the Hasmonean king Alexander Jannaeus (103–76 BC) and was destroyed by Pompey’s general Gabinius in 57 BC, but later rebuilt by Herod the Great. Upon Herod’s death, his son Herod Antipas inherited the fortress where Salome is said to have danced in return for the head of John the Baptist. During the First Jewish Revolt, Jewish rebels took control of the fortress which was besieged and destroyed by the Romans in 72 AD. Carole continues with a more detailed summary of the site's history and some good photos. HT AJR. A past PaleoJudaica post on Machaerus is here. THE BIBLE AND INTERPRETATION: Engaging Biblical Plurality: The Zedekiahs in the Books of Jeremiah. Unfortunately, many biblical scholars and religious educators—whether consciously or unconsciously—overlook this history and its divergent texts, often endorsing one form of Jeremiah over the other. Such partiality can lead to incomplete biblical scholarship or religious exclusivism. Granted, religious communities often show partiality based on current canonization; however, the canons changed over time, and both versions of Jeremiah have been considered sacred in Jewish and Christian history. So both versions need to be taken seriously by interpreters regardless of affiliation. See also: The Last King(s) of Judah: Zedekiah and Sedekias in the Hebrew and Old Greek Versions of Jeremiah 37(44):1–40(47):6 (Mohr Siebeck, 2017). This is a good illustration of how important the Septuagint is for understanding the transmission of the text of the Hebrew Bible. This particular case is not just a matter of textual criticism. It involves two editions of the text which tell two different stories about King Zedekiah. READING ACTS: Testament of Levi and the Priesthood (Phil Long). Just to be clear, the Greek Testament of Levi gives every indication of having been written in the second century CE, as a very free translation of the much earlier Aramaic Levi. This is not just a matter of Christian "interpolations," although the new work is certainly Christian. Aramaic Levi has been substantially edited in other ways. Notably, the long section of instructions for sacrificial rites which forms the core of Aramaic Levi has been very much abbreviated in the Testament of Levi. Whoever wrote the Testament of Levi did not find ritual law interesting. The presentation of the priesthood in Aramaic Levi is problematical. It presents Levi as a priest and a founder of the priesthood in his own time. Yet in the Pentateuch God founds the Levitical priesthood in the time of Moses and the priesthood itself is limited to the family of Aaron (later, of Zadok, Aaron's descendant). More on that here. The first part of the Testament of Levi basically echoes the view of Aramaic Levi. I am not sure whether Testament of Levi 14-18 is compatible with this view. It seems mostly interested in the Aaronid (Zadokite) priesthood of the biblical and Second Temple periods. But I would have to look into it more carefully to have a confident opinion. Earlier posts in Phil's blog series on the Old Testament Pseudepigrapha are noted here and links. The last two posts in the series have also been on the Greek Testament of Levi. YONA SABAR: Hebrew Word of the Week: tamar - "date palm (tree and fruit); Tamar (name)" תמר. Professor Sabar also suggests that the Aramaic name for Palmrya, Tadmor, may be related to this root. THE CSCO BLOG: The Book of Enoch the Prophet (Sofanit Abebe). This blog post gives a brief introduction to 1 Enoch. It focuses on the importance of 1 Enoch for Ethiopian Christianity, with particular reference to the Andǝmta commentary tradition. READING ACTS: Apocalyptic in the Testament of Levi. Phil Long explores apocalyptic chronology and messianism in the last four chapters (14-18) of the Greek Testament of Levi. He also has some comments on Aramaic Levi. Unfortunately, we don't have the end of Aramaic Levi. What is left of it has parallels with the Testament of Levi chapter 13, and perhaps some words and themes in chapter 14, but no more. So we don't know how much of Testament of Levi 15-18 is based on Aramaic Levi. I agree that some of it probably is. It's hard to tell whether Aramaic Levi drew on Daniel's seventy weeks as a messianic prophecy. On the one hand, 11QMelchizedek (11Q13) probably quotes from Daniel 9. 11Q13 also uses a pattern of jubilee years in a context involving Melchizedek as an eschatological redeemer. So such ideas were circulating in Second Temple Judaism. But on the other hand, the Synoptic Apocalypse (Mark 13 and parallels) also quotes from Daniel 9 and applies it to a messianic eschatological context. So early Christianity was using these ideas too. I just don't know what was in the lost ending of Aramaic Levi. Earlier posts in Phil's blog series on the OTP are noted here and links. That post from yesterday was also on the Greek Testament of Levi. HOLY LAND PHOTOS' BLOG: The Six Days War — Fifty Years Ago Today (June 5, 1967) Carl Rasmussen and his wife were at the Institute of Holy Land Studies in Jerusalem during the war. He has photos. A couple of recent past posts on the war are here and here. Today, 8 June, is the fiftieth anniversary of day four. PHILOLOGOS: Who Is the Biblical Stranger, and What Should the Bible's Teaching Mean Today? The shifting historical meaning of “Thou shalt not oppress a stranger” (Mosaic Magazine). As frequently, the meaning of the word ger has changed over time, notably from the Bible to the Rabbinic literature. That much is easy to establish. But the question of what the Bible's teaching about this (or most anything) should mean today is a difficult one, with lots of underlying assumptions to parse. Philologos makes a start, but doesn't pretend to provide a definitive answer. KARAITE WATCH: Biblical Exegesis as a Source of Jewish Pluralism: The Case of the Karaites (Prof. Daniel J. Lasker, TheTorah.com). Karaism is often characterized by its rejection of the Talmud in favor of a super-literalist interpretation of the Torah. But Karaism is better understood as an alternate, parallel form of Judaism based on the Bible. The Karaites are a non-rabbinic community of Jews whose origin goes back at least to the early Middle Ages. They reject the rabbinic concept of the Oral Torah. This essay gives a very thorough exposition of Karaite religious thought and practice. For many past PaleoJudaica posts on the Karaites, start here and follow the links. Hereafter "MNTA1." I am very pleased to have the opportunity to publish an extended review of this excellent volume at PaleoJudaica. I am grateful to Eerdmans for providing me with a review copy. Time permits me to review very few books, but this one is a special case. Regular readers are aware of my longstanding interest in noncanonical scriptures, especially those associated with the Old Testament or Hebrew Bible. This interest has led to many publications, the most notable of which for the purpose of this review is Old Testament Pseudepigrapha: More Noncanonical Scriptures, volume 1 (Eerdmans, 2013), which I co-edited with Richard Bauckham and Alexander Panayotov. (Hereafter MOTP1.) Volume 2 is currently in progress. The similarity in the titles of that book and the one under review is no coincidence. As the editors note in the Introduction (p. xxxix), their More New Testament Apocrypha Project (MNTA) was inspired by our More Old Testament Pseudepigrapha Project (MOTP) and the two have a similar structure and similar aims. Both have so far published a volume of texts, with more to come. The two projects proceed independently, although we keep in touch with each other. Between them, they are putting the study of noncanonical biblical literature on a new footing. I am dividing this review into four sections and will post each separately. Today’s post deals with the Introduction to the book and the various critical and theoretical issues it raises. The second post will survey the apocryphal gospels translated in the volume. The third post will do the same for the apocryphal acts and related texts, the apocryphal epistles, and the apocryphal apocalypses. I will say more about some texts than others, but I will say something about each text in the volume. The fourth and final post will evaluate the book and make some concluding observations. The volume under review opens, very appropriately, with a lively and informative Foreword by J. K. Elliott. Elliott is the editor of The Apocryphal New Testament (Oxford Clarendon, 1993). That volume is the most comprehensive and authoritative collection of New Testament Apocrypha in English. He wryly notes of it that “[a]ll the word in the title ‘The Apocryphal New Testament’ are wrong” (p. xi). The Introduction was written by the two editors. It opens with a discussion of the title of the volume, defending “New Testament Apocrypha” as imperfect, but the clearest option available. It goes on to consider the two vexed terms “apocrypha” and “canon.” It traces the etymology and early history of “apocrypha,” noting that modern scholars prefer the term “Christian Apocrypha” for noncanonical scriptures composed by Christians in the first three centuries of the era. Thus, “New Testament Apocrypha” implies a somewhat wider period of composition. After noting the etymology and early use of “canon,” the editors make five observations about the concept. First, we know much less than we would like about the process of the canonization of the New Testament. Second, this process cannot be simplified to a “power-play” (p. xxv) by a faction in the early church. Third, neither the Council of Nicea nor Athanasias’s festal letter provided the defining moment in the canonization of the New Testament. That was a long, organic process and there was no such defining moment. Indeed, fourth, a strict division between canonical and noncanonical texts was not characteristic of the early church. Fifth, many noncanonical scriptures continued to be highly influential in widespread church communities for many centuries. The Introduction continues with a survey of the transmission and continued composition of New Testament Apocrypha into the modern era. The advent of the printing press brought incunabla, essentially chapbook publication of such texts. The work of Johann Albert Fabricius in the early eighteenth century set the field of scholarly study of the New Testament Apocrypha on a firm foundation. (His 1713 edition of Old Testament Pseudepigrapha did the same for those texts.) The twentieth century saw numerous collections of New Testament Apocrypha in translation in European languages. The works of M. R. James and Elliott are especially notable in English. The Association pour l’étude de la littérature apocryphe chrétienne (AELAC) produced an important two-volume collection in French just on either side of the turn of the twenty-first century. Meanwhile, New Testament Apocrypha continued to be composed even in the twentieth century and scholarly publications also have continued apace to the present. Dan Brown’s novel and movie, The Da Vinci Code, despite its flaws, did much to draw popular attention to ancient noncanonical scriptures. The editors chose the thirty texts translated in this volume using five criteria. These are to a significant degree inspired by the criteria developed for MOTP. First, the volume builds on the collection of New Testament Apocrypha published by James in 1924, to which Elliott added only a few texts. Second, the editors extended the chronological range of the texts to the rise of Islam in the seventh century, with some later texts included because they were of special interest. One text may have been composed as early as the late first century and another as late as the fourteenth century, with most of the rest dating in their earliest forms to the second to seventh centuries. Third, the texts in this volume are not restricted to genres found in the New Testament. Fourth, a few works published in earlier English collections are republished to take into account new manuscripts or advances in scholarship. Fifth, this volume does not include New Testament Apocrypha that are already available in up-to-date English translations (e.g., the Nag Hammadi texts). The editors offer five contributions that the New Testament Apocrypha make to scholarship. First, they show the wide range of beliefs that early Christians held about Jesus. Second, they provide much evidence for how early Christians interpreted the Bible. Third, they are intrinsically interesting as imaginative literature. Fourth, they even made notable contributions to ancient and medieval Christian doctrine and theology. Fifth, a lateral reading of the texts offers us otherwise unavailable information about the history of Christianity. The editors also propose five contributions that this particular volume makes. First, this is the first such anthology produced from North America. Second, a majority of its texts are translated into a modern language for the first time. Third, the texts come from a broad chronological range. Fourth, it includes texts composed later than the third century, underlining the inherent worthiness of later texts for scholarly study. And fifth, some of these texts were very popular, notwithstanding their noncanonical status, and some of them represent genres not found in the New Testament. The Introduction closes with the promise of at least one more MNTA volume and a list of texts to be included in it. In the next two posts I will survey the individual texts translated in the volume. I will begin with the gospels and related traditions. UPDATE (15 June): Philip Tite comments here. DR. ELAINE GOODFRIEND: Shekhar: Is it Wine or Beer? (TheTorah.com). The nazir must abstain from shekhar (שֵׁכָר), and it must be poured on the altar as a libation – but what is it? Understanding the ecology of ancient Israel can help answer the question. It would have been cool if it had turned out to be single malt, but that doesn't seem to be an option. COMMEMORATION: Translating the Torah for today (N.S. Palmer, The Jewish Journal). An essay that celebrates the centennial of the 1917 Jewish Publication Society translation of the Bible and the symposium recently held in honor of it. You can read the 1917 translation here. The New JPS Tanakh can be ordered here. For the history of this translation, see here. READING ACTS: Ethics in the Testament of Levi (Phil Long). The Greek Testament of Levi is a second-century (Jewish-?) Christian text and so it makes sense that it would have points in common with the mostly first-century New Testament Christian texts. Phil's post discusses some of the ethical parallels between them. It would be useful also to look at Aramaic Levi, the Jewish source behind the Greek Testament of Levi, to see how many of the NT parallels in T. Levi are present there and whether there are others not in the Greek Testament. The vision is something of a special case, since most of it (or them - there may have been two) is lost in Aramaic Levi. But some material survives. Perhaps Phil is planning on some posts on Aramaic Levi later in the series. That would be good. Earlier posts in Phil's blog series on the OTP are noted here and here and links. There's more on Aramaic Levi here. That post also tells you where to find my English translation of it. ARCHAEOLOGY AND EPIGRAPHY: Column: Cave 25 and the oldest Bible verses (Current in Carmel). Ha ha, fooled you! You were thinking this referred to a Qumran Cave 25 and you were wondering how you missed news about 11 or 12 new caves. Don't worry, you haven't missed anything. This article is actually about the silver amulet scrolls discovered at Ketef Hinnom by Gabriel Barkay in the 1970s. And yes, those scrolls contain the earliest surviving copies of a biblical text, the priestly blessing in Numbers 6:24-26. For many past PaleoJudaica posts on them, start here and follow the links. I knew the scrolls were found in a cave, but I didn't know (or perhaps had forgotten) that it was called Cave 25. THIS WEEK'S DAF YOMI COLUMN BY ADAM KIRSCH IN TABLET: The Inheritance. In this week’s ‘Daf Yomi,’ one sage overrules the consensus, and men may dispose of their wealth upon their deathbeds at will. This week, the Talmud considered another aspect of the question of inheritance. Can a man bequeath his property in a way inconsistent with the Torah’s rules? For instance, can he disinherit one of his sons, or deprive the first-born of his double share? Really this is a question about the meaning of ownership in Jewish law, which is simultaneously a civil code and a religious one. Does a Jew’s property belong to him absolutely, so that he can dispose of it however he likes? Or does it belong to him, as it were, on sufferance from God, so that God’s commandments limit how he can use it? In this case the Talmud takes a more liberal line than the Mishnah. READING ACTS: The Testament of Simeon. The major ethical theme in the Testament of Simeon is the avoidance of envy. This Testament is also one of the ones that claims to know a book of Enoch. It is unclear whether this book actually existed. There is no reference to anything in any of the Enochic books we know, but we don't necessarily know all the ones that existed. There will be a chapter on citations of lost and dubious books in the forthcoming second volume of Old Testament Pseudepigrapha: More Noncanonical Scriptures. Perhaps the most tantalizing lines in the Testament are 7:1-2. The section begins with an exhortation to “be obedient to Levi and to Judah. Do not exalt yourselves above these two tribes, [because from them will arise the Savior come from God].” The problem is the status of the last phrase, is this a Christian adaptation of a Jewish original, or wholly Christian? The idea that two messiahs will come to Israel is found in the Dead Sea Scrolls (a messiah of David and Aaron). This reflects a coming military savior (like David, from the tribe of Judah) but also a messiah who functions in some ways like priest, from the tribe of Levi. All this is true, but in fact some Christians did believe that Jesus was born from both the tribe of Judah and the tribe of Levi. There is no need to bracket the final phrase as a "Christian interpolation." (In general, one should be very cautious about this kind of atomistic literary criticism.) This belief about Jesus' lineage appears elsewhere in Christian Apocrypha. I will have more to say about it later this week. WELL, THAT'S AWKWARD: Who Was Samson’s Real Father? (Marc Zvi Brettler, TheTorah.com). The grammar of the verb in verses 3 and 5 of Judges 13 is hard to interpret any other way. Grammar is your friend. And Professor Brettler's exegesis of the whole story makes good sense. Was this one of the watchers who were left in heaven after the fall of the others? Was he sent by God on a special mission to impregnate a human woman to produce a semi-divine champion for Israel? That's very speculative, but I wouldn't rule it out. It fits the theology of the watchers in both the Enochic literature and the Hebrew Bible. Deane Galbraith, call your office! UPDATE: Reader Kenneth Greifer draws my attention to the similar construction in Deuteronomy 31:16, in which God tells Moses, "Behold you (shall be) lying down (i.e., dead) (הנך שׁכב) with your fathers and this people shall rise up and prostitute themselves after strange gods ..." Moses is clearly alive at the time. The construction is similar, although "lying down" is a participle and "pregnant" (הרה) in Judges 13:5 is an adjective. But, yes, the latter could be read analogously with a future meaning drawn from the following imperfective verbal construction. So I agree that, although Professor Brettler's reading is possible and fits well with his overall exegesis of the passage, there is another way to interpret the verse: "For behold you (shall become) pregnant and you shall bear a son ..." In that case the angel need not have been directly involved with the pregnancy. The coordination of the two verbal forms in v. 3 (והרית וילדת) vs. the disjunction of the adjective and verb in v. 5 (הרה וילדת) supports Brettler's interpretation, but this is not decisive. ANCIENT JEW REVIEW: Book Note | Bundvad, Time in the Book of Ecclesiastes (Jesse Peterson). [Mette] Bundvad, however, seeks to reinstate this work in the field [on time], only using a different approach. With one eye on Barr’s critiques and another on Guy Deutscher’s more recent linguistic work, she avoids a lexical-based approach and posits that a better method for identifying reflective thought on time is to appeal to an author’s syntax and “habital use” of language—ways by which the author directs the reader to concentrate on certain aspects of the world—and an author’s ability to do this transcends the sum of her lexical stock. THE BIBLE PLACES BLOG: Luke & Acts: Historical Reliability - 6 (Michael J. Caba). This post is on Annas the High Priest. Earlier posts in the series have been noted here and links. THE BOOK OF DOCTRINES AND OPINIONS BLOG: Interview with Yuval Harari- Jewish Magic before the Rise of Kabbalah (Alan Brill). A long, good introduction to the subject, followed by an excellent interview. I noted Professor Harari's new book, Jewish Magic before the Rise of Kabbalah, here. As I also noted earlier, Professor Harari's translation of the Hebrew-Aramaic magical treatise The Sword of Moses (Harba de-Moshe) is forthcoming in volume 2 of Old Testament Pseudepigrapha: More Noncanonical Scriptures. Likewise, my translation of the Hebrew magical treatise The Book of Mysteries (Sefer HaRazim) is forthcoming there too. DR. MARC HERMAN: The Origins and Use of the 613 Mitzvot (TheTorah.com). The development of the idea that the Torah has 613 mitzvot: From Talmudic aggada, to geonic liturgy, to medieval enumerations. Surprisingly, the idea doesn't have a strong basis in the Rabbinic literature. Reed on Cynthia Baker’s "Jew"
MARGINALIA REVIEW OF BOOKS: Jew and the Making of the Christian Gaze. Annette Yoshiko Reed on Cynthia Baker’s Jew. Marginalia's Forum on Cynthia Baker’s Jew is publishing a series of essays on the book. This is the second. In it Professor Reed brings the Pseudo-Clementine Homilies into the conversation. Background on the series is here. NEW BOOK FROM MOHR-SIEBECK: Beyond Conflicts. Cultural and Religious Cohabitations in Alexandria and Egypt between the 1st and the 6th Century CE. Ed. by Luca Arcari. 2017. XIII, 460 pages. Studien und Texte zu Antike und Christentum / Studies and Texts in Antiquity and Christianity 103. That there were various ways of interaction between different groups in Graeco-Roman Egypt cannot be doubted, as a number of more or less recent regional studies have further reinforced. And as is well-known, Egypt emerges as a sort of exception in the study of ancient cultures and religions because it provides scholars with the opportunity to draw on a great number and variety of documents. Exploring interactively the diversity of documentary material is the main aim of this book. In socio-cultural terms, such an analysis corroborates the image of Egypt as a pervasive cultural system where for many centuries different elites coagulated themselves around a number of standard modalities to produce “cultural” and “religious” micro-systems. This shows that people, even when different languages and textual practices survive, respond to specific modalities of cohabitation under the umbrella of this hegemonic cultural “field." Follow the link for the TOC. A number of the essays deal with Alexandrian Judaism. SAMARITAN WATCH: Atop holy mount, Samaritans mark biblical festival of Shavuot. Tiny community makes pilgrimage to West Bank’s Mount Gerizim for seven day celebration of anniversary of receiving the Torah (Times of Israel). The Samaritans' celebration of Shavuot began yesterday (Sunday). And yes, "seven day celebration" above is correct. READING ACTS: Book Review: Markus Bockmuehl, Ancient Apocryphal Gospels. A review by Phil Long. Conclusion. Bockmuehl contributes a useful introduction to apocryphal gospels which avoids the kind of sensationalism which often accompanies books on non-canonical documents. The glossary of technical terms and extensive bibliography makes this an excellent introduction to the apocryphal gospels. Past reviews of the book etc. are noted here and links. ARCHANGEL METATRON WATCH: Metatron, Inc. ($MRNJ) Adds A Specialty CBD Infused Tea Blend In Addition To Its Newly Announced Specialty CBD Coffee Blend And Single Serve Maker. "CBD" stands for "Cannabidiol," one of the (many) active ingredients in cannabis. Unlike Jesus and Moses, Metatron has a well-documented — albeit recent — relationship with weed. Background here and links. PHOENICIAN WATCH: Ceramic Heads of Possible Goddesses Discovered in Ancient Waste Dump (Owen Jarus, Live Science). They seem to be wall decorations. They are Phoenician in origin - from Lebanon c. 400 BCE. But they are culturally eclectic, with Greek, Phoenician, and Egyptian stylistic traits. NABATEAN (NABATAEAN) WATCH: Jordan- Swiss archaeologist examines ancient Nabateans' water technology. (MENAFN - #Jordan Times) AMMAN — The infrastructure of Petra, the capital of the ancient Nabateans, still remains a mystery to most people who visit this heritage site. The focus of tourists when they arrive to Petra is to find splendid monuments, temples, shrines, churches and market places, but the water infrastructure and the way Nabateans preserved water for irrigation and drinking is relatively unknown, noted Ulrich Bellwald, a Swiss archaeologist,conservator and architect. This is a quite detailed report on the survey of Petra's hydralic system. An earlier report on the project was noted here last year. Past posts on the Nabateans (Nabataeans) are here and here and many links. REMNANT OF GIANTS: Why Did Jesus Turn Into a Giant? New article proposes an answer (Deane Galbraith). You can read the relevant passage from the Gospel of Peter here. Cross-file under News You Can Use.